When it comes to fashioning better smiles, iTero technology is the ideal Invisalign partner. At The Fold Dentistry in Manchester, we work with multiple iTero digital scanning machines, each designed to show you – quite literally – the results you can achieve with Invisalign braces. What Does Invisalign Dental Braces Imaging Do? 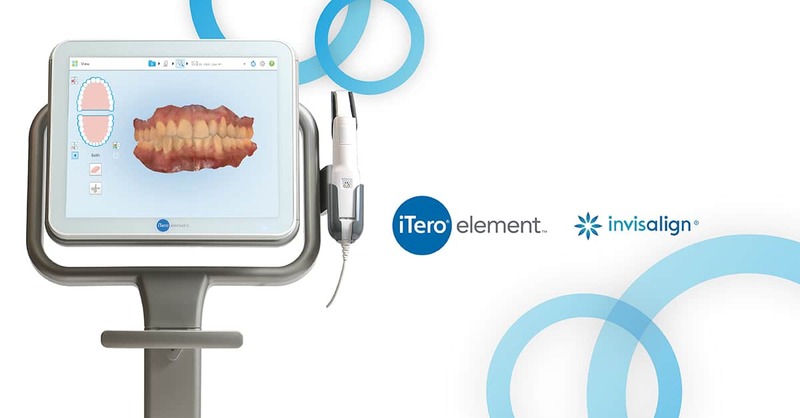 iTero scanners enhance your clear aligner treatment by working hand-in-hand with a device called the Invisalign Outcome Simulator. Your cosmetic dentist scans your teeth with a hand-held, digital wand – the Simulator uses those scans to generate full-colour, animated images illustrating how your teeth will shift from their current alignment to give you the smile you want. There are many advantages to working with an orthodontic dentist who uses automated imaging as part of the Invisalign process. But the bottom line is that iTero systems let dental professionals treat their patients more effectively. The iTero scanning system allows Invisalign specialists like those at The Fold Dentistry to produce animated images of your teeth quickly, and with remarkably clear results. Technology-assisted consults are performed right at chairside. And iTero’s real-time, 3D resolution means you get to see exactly what your dental professional sees. You won’t have to try and imagine what it will look like when Invisalign shows results – the process will unfold on the screen right before you. We’ve found that nothing is quite as effective at motivating patients to keep wearing their Invisalign retainers as the ability to see all the progress they’ve made! Why Choose iTero for Your Invisalign Treatment? Invisalign treatment plans based on iTero technology have been shown to significantly reduce aligner fit issues, while creating a better overall patient experience. The traditional approach to orthodontic appliances involves taking physical impressions of teeth with the aid of bite blocks. This process is often messy and unpleasant, and causes many patients to experience an uncomfortable “gag” reflex. The iTero digital wand, meanwhile, captures multiple images of your teeth every second. The scanned images appear instantly, and there’s no need to stop and click every time an image is taken. The less time your cosmetic dentist spends gathering data for treatment, the less time you spend in their chair! And as an added bonus, iTero images can be forwarded directly to the orthodontic laboratories producing custom Invisalign braces – meaning your treatment will get underway that much faster.